Juvéderm® XC is an FDA-approved dermal filler, specifically formulated to add volume to the skin around the mouth and nose that has been lost due to the natural aging process. This injectable gel restores a youthful contour to the face, plumping up the area and softening lines, facial wrinkles and folds. Juvéderm® XC in Rancho Cucamonga is now available at True Beauty Aesthetics. The main component in Juvéderm® XC is hyaluronic acid, a substance found naturally within the human body, which hydrates and supports skin. Over time, the levels of hyaluronic acid produced by the body begin to decline, leading to changes in facial definition. Juvéderm® XC naturally integrates into the skin, restoring levels of hyaluronic acid and stimulating the growth of firmer, more youthful-looking skin. If you are looking for Juvéderm® XC in Upland, Dr. Sina will guide you to best results. Who Are Ideal Candidates For Juvéderm® XC? Ideal candidates for Juvéderm® XC are healthy adults over the age of 21 who have experienced noticeable signs of aging around the mouth or nose, including fine lines, wrinkles or facial folds. While more common among older adults, younger men and women may also experience these issues due to various factors such as genetics, weight loss and illness. Patients who are pregnant or who have severe allergies are not considered candidates for treatment with Juvéderm XC. Juvéderm® XC injections take about 15 minutes to complete and are administered in a medical office. Juvéderm® XC Rancho Cucamonga is injected under the skin with a small needle, adding volume deep within the areas surrounding the nose or mouth. The gel formula contains lidocaine, a numbing agent, to prevent patients from experiencing pain during treatment. What Are The Juvéderm® XC Side Effects? While Juvéderm® XC in Fontana is considered a safe procedure, there are possible side effects associated with the use of any dermal filler. The most common side effects of Juvéderm® XC treatment may include swelling, infection, bruising, itchiness, skin discoloration and discomfort. When these complications do arise, they are generally moderate and subside within a few weeks. A new hyaluronic based filler has reached the market with remarkable qualities. 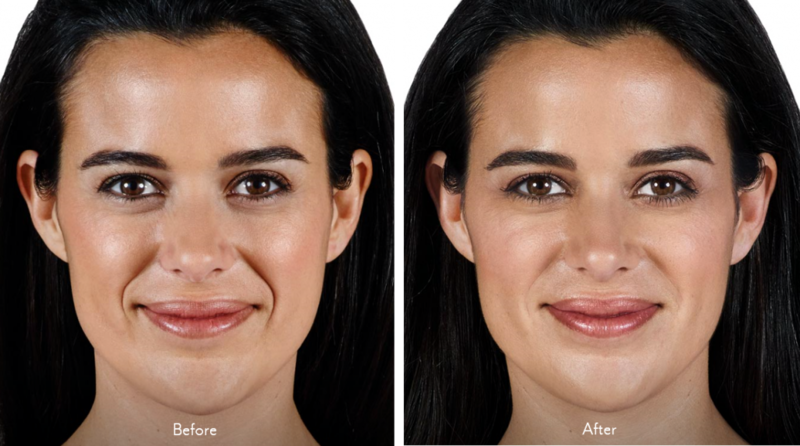 Juvéderm® Voluma XC is the only filler cleared by the FDA to restore volume loss in the cheeks. By lifting rather than filling the cheeks, more youthful proportions and appearance can be attained. Surveys of patients note they look up to 5 years younger. Our top Rancho Cucamonga dermatologist see less bruising in our patients compared to other fillers. On top of that, Juvéderm® Voluma XC can last up to two years.